Leave a lasting legacy and a lasting difference for Aldridge Gardens. Making a bequest to the Gardens is a sure way to protect a place you value. Anyone can bequest, and no amount is too big or too small. Your planned gift establishes a legacy at the Gardens and helps to preserve the Gardens for future generations. It can also offer you and your family substantial financial benefits and tax savings. To learn more about including Aldridge Gardens in your estate plan, contact Tynette Lynch 205-682-8019 ext. 101 or email tlynch@aldridgegardens.com. What are the Types of Planned Gifts? Any type of gift enables the Gardens to continue providing outstanding programs, and can provide you with financial benefits that you can count on. The most popular planned gift is a bequest. Other types of planned gifts include charitable gift annuities, charitable trusts, gifts of retirement assets and gifts of life insurance. These gifts all have different income or estate tax savings. The important thing is to find a gift that fits your philanthropic and tax needs. 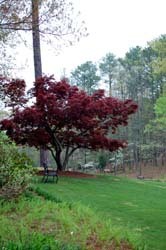 How do I Establish a Planned Gift to the Gardens? Establishing a gift for the Garden can be a significant part of planning your estate. Before you commit to a gift plan, please consult your attorney or financial advisor concerning your options.